Browse: Home / 2014 FIFA World Cup: Where’s iBeacon? 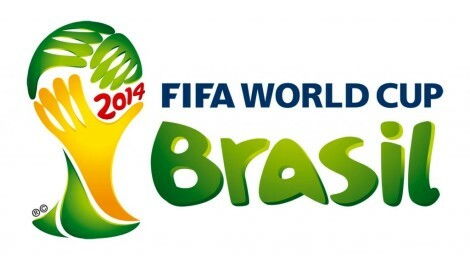 2014 FIFA World Cup: Where’s iBeacon? Mobile technology has come a long way since the last FIFA World Cup. How are things different in Brazil? The 2014 FIFA World Cup is kicking off today. In the spirit of the event, we decided it would be a good idea to look at the technological shift in mobile and geo-local technology, soccer style. This year’s cup will see a number of advanced technologies that will affect both players and fans. From 3D printed boots, to a new “smart” ball with built-in sensors, and a new goal-line technology that uses high-speed cameras at each goal to alert referees of goals via a vibrating watch, these games will be the most hi-tech ever played. On the fan side, the world’s most watched sporting event will be a perfect showcase for the advancement in how consumer’s interact with technology and consume media. The number of Google searches related to the FIFA World Cup surpasses the Super Bowl and summer Olympics combined – the World Cup is a global phenomenon above any other. To get an idea of how technology interaction has changed in the past 4 years, since the 2010 World Cup in South Africa, we can look at Google searches by device. In 2010, 18% of searches took place on mobile devices. This year, during the UEFA Champions League final, 63% of searches took place on mobile. How we consume media isn’t the only thing that’s changed; how often and when we consume it has also changed. More searches are now occurring during matches, while back in 2010 search volume fell during matches as smart devices and tablets were less prevalent. The move towards mobile has created an “always-on” consumer of technology and media. This year’s World Cup is hailed as the first “digital World Cup”. What better event to recognize the new paradigm in technological access and connectivity. This year’s cup will see fan’s placing bets, streaming live matches, and sharing content with friends, all from their mobile devices. 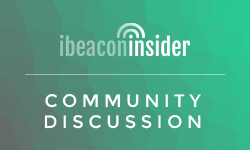 While iBeacon technology seems to be popping up at almost every major event of late, news has been relatively quiet regarding any iBeacon implementations at the World Cup (Earlier this year, it was rumored that Coca-Cola was considering an iBeacon deployment as part of a larger marketing program). Event-based use cases still apply to the World Cup, though, and we’re sure to see mobile technology gain a stronger foothold and presence by the next event, in 2018.